Well, our green's not quite large enough to play cricket on, but we like it. 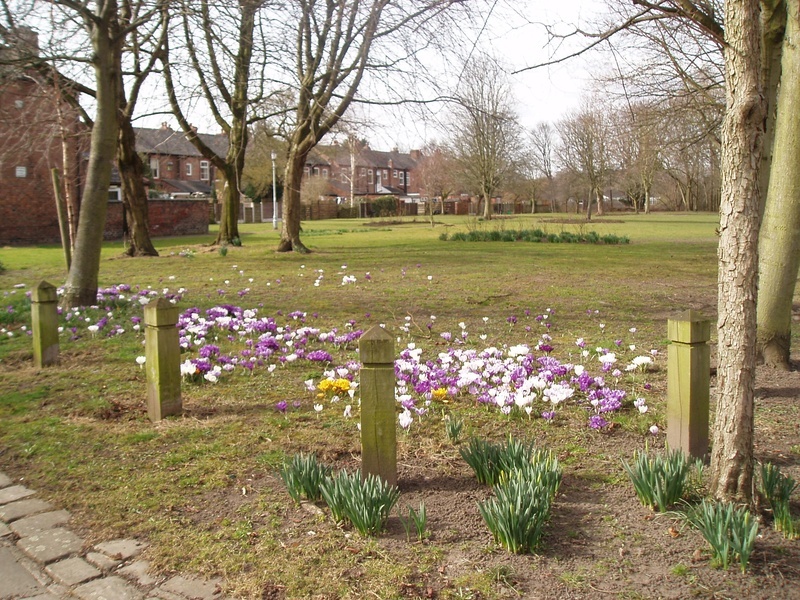 It's behind the Church in Cheadle, Stockport, and provides a welcome area for people to enjoy peace and quiet, walk their dogs and for children to play in. But it is a bit run-down and so we've formed a group to find some money and support to tidy it up. We have applied for start up grants for a noticeboard so we can tell people what we're doing and we have a promise from the Council for litter bins and bird boxes. Our longer term plans are to paint the existing railings, add some at the front of the green , and lay some paths so there is a walking track.